Home / ROUND HEADS / DOUBLE BARB NON-STAGGERED UNPAINTED – 1/32oz. DOUBLE BARB NON-STAGGERED UNPAINTED – 1/32oz. HARD TO FIND NON STAGGERED DOUBLE BARB, SOLD AS A TEEZUR OR TEASER JIGHEAD BY SOME COMPANIES. GREAT JIGHEAD FOR HOLLOW TUBE JIGS. DOUBLE BARB NON-STAGGERED UNPAINTED – 1/16oz. 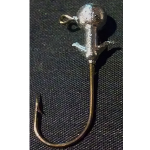 HARD TO FIND NON STAGGERED DOUBLE BARB, SOLD AS A TEEZUR OR TEASER JIGHEAD BY SOME COMPANIES. GREAT JIGHEAD FOR HOLLOW TUBE JIGS. Unique double barb non staggered. No #6 sickle. LOOKING FOR A HARD TO FIND 1/24th OZ. 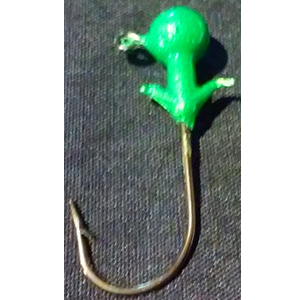 JIG HEAD? LOOK NO FURTHER, WE HAVE IT IN A SINGLE BARB AND NO COLLAR HEAD STYLE. DOUBLE BARB NON-STAGGERED PAINTED - 1/4-5/16oz. 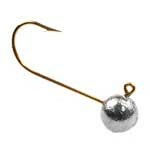 DOUBLE BARB NON-STAGGERED UNPAINTED - 1/16oz.